The outdoor sport of rock climbing that started around the 1800 has evolved into a popular sport that can be enjoyed by people with different skill levels. Expert climbers prefer to compete in the extreme outdoor version of this sport where they tackle the most difficult and dangerous wall terrain to reach the summit at the quickest way possible. Those who want to achieve the same feat but lack the skill level can hone their skills in wall climbing training camps or gyms. Others who simply want to have fun with the sport may also do so in the safe and friendly environment of indoor wall climbing facilities. Wall climbing is a good way to test your endurance, strength, agility, concentration, and mental alertness. Athletes that require endurance in their sport often include wall climbing as part of their routine. Some executives or middle management employees use it as a form of therapy to relieve themselves from stress and sharpen their mental control. Parents who are engaged in the sport also encourage their children to try it out too. Aside from keeping the children physically fit, there are mental and emotional benefits that can be gained from this activity. 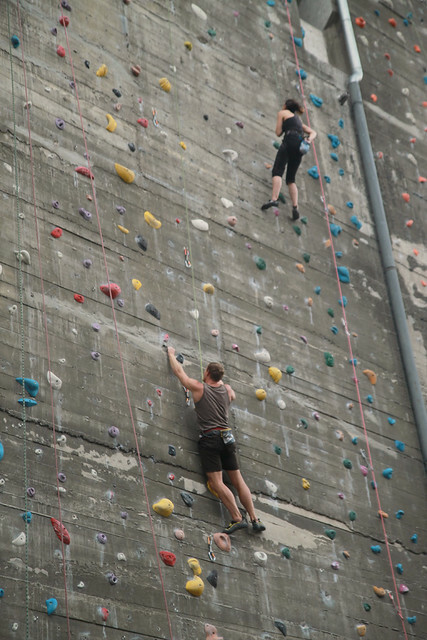 Most of the muscles in the body are used during the climb thereby giving you a work-out for the day. Maneuvering and finding a way through the rocks and foot holds enables your child to develop skills in strategy and planning. It can also test and improve the determination of a child to finish a given task, and boost their esteem once they conquer their wall. The best part of it is that you can either treat it as a competitive sport or simply a recreational activity that you can enjoy with the whole family. Kids who have the discipline, ambition and love for the sport can compete in wall climbing or sporting events while those who don’t want the pressure of excelling in the sport can simply enjoy it as a game. 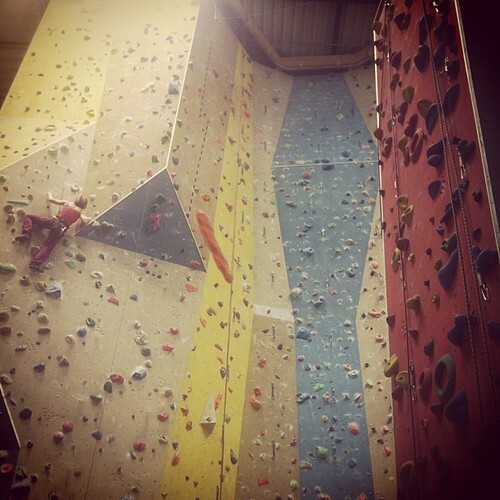 Otherwise, there are some recreational facilities that offer wall climbing for kids and adults just to give people a taste of what the sport is all about. Just like this family fun park near our place. Whatever you decide on, this is definitely something that you should try. This sport can take your family to different heights of fun while honing life skills at the same time.